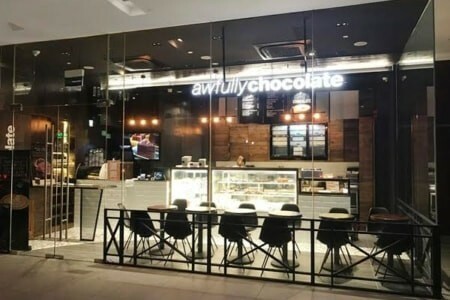 If you are a regular at Raffles Place, Tanjong Pagar and Telok Ayer, you can rejoice – because Awfully Chocolate offers the most delectable chocolate treats and cakes that are sure to satisfy your chocolate cravings. Located between Tanjong Pagar and Telok Ayer MRT station, it is comfortable space within the central business district (CBD) for client meetings, as well as a convenient location to grab cakes to-go! Click here to locate us today!